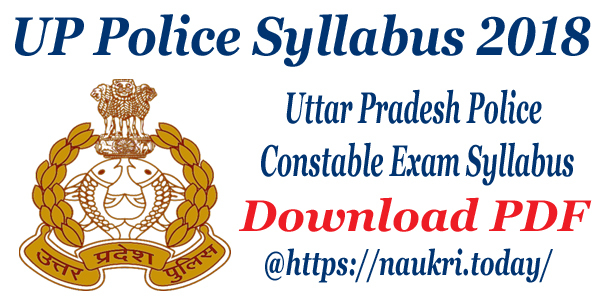 Are you searching HP High Court Clerk Vacancy 2018??? if yes, then here is the latest information for you. Himachal Pradesh High Court has released advertisement for recruitment of 80 Clerk, Process Server & other vacancies. Candidates can apply for HP High Court Recruitment 2018 through online mode. The online application form is available from 27th November 2018. Applicants can submit their HP High Court Vacancy online form till on the last date i.e 21.12.2018. Participants may require to read the full page and check how to Apply Online for HPHC Clerk Recruitment 2018. Himachal Pradesh HC is inviting online application form for 80 Clerk, Judgment Writer, Process Server and other vacancies. This is a golden opportunity for candidates who are looking govt. job in the state. 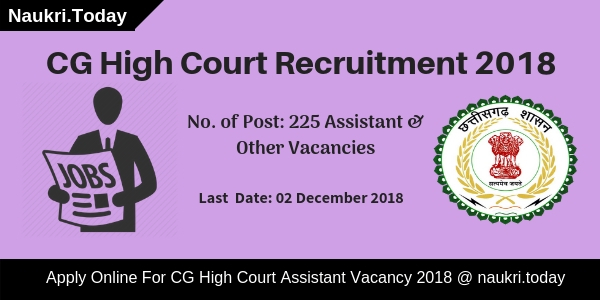 Applicants may fill online application form HP High Court Jobs from 27.11.2018 to 21.12.2018, Rest details such as eligibility criteria, HP High Court Clerk Recruitment Selection Criteria and others are mention below. Therefore, candidates have to read the full article for more information regarding HPHC Vacancy 2018. 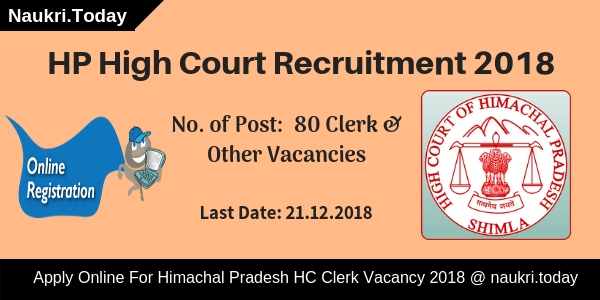 Eligibility Criteria of Himachal Pradesh HC Jobs 2018 – Who Are Eligible For HP High Court Clerk Vacancy? Interested candidates must check that they are eligible or not for HPHC Recruitment 2018. Participants must match their education qualification, typing test & other eligibility parameters from here. The HP High Court Vacancy 2018 eligibility criteria are mention asunder. Candidates must be possessing Graduation from recognized university. For HPHC Process Server Candidates candidates should qualify 10+2 examination from recognized board. Furthermore, you can check HP High Court Recruitment Notification, which is mention below. For the post of Stenographer & Judgment Writer, there will be skill test organized. Applicants those qualify written examination must pass typing test also. For HP high Court Jobs 2018 candidates must have a speed of 80 w.pm. in English Stenography and 40 W.P.M typing speed in English on Computers. For more details refer HPHC Notification 2018. Participants will get select on the basis of their performance in Screening Test, Written Exam, Tying Test & Personal Interview. For HP High Court Recruitment 2018 candidates must qualified Screening Test & Written Examination. After that, they will call for typing test and personal interview. Applicants can check out the marks of given examination and how they select for Himachal Pradesh HC Clerk Vacancy. Final selection of the candidate will be made for HP High Court Recruitment 2018 on the basis of written examination & interview. There is no application fees mention on the official advertisement. Candidates should have to pay application fees if required. For more details, applicants should check Himachal Pradesh HC Recruitment advertisement. Interested and eligible candidates may apply for Himachal Pradesh HC Jobs 2018 through online mode. If you are going to fill online application form then you must have valid email id & mobile no. Now follow some given below instructions to apply online for HP High Court Jobs 2018. First of all, go to the official site hphighcourt.nic.in. Download Himachal Pradesh HC Clerk Notification 2018. Read it properly to check the eligibility. Click on the link apply online for HP High Court Recruitment 2018. Enter all require information like personal & educational. Upload Signature & photograph on your HPHC Clerk Job Online Form. Now recheck your HP high Court Application Form carefully. Submit it properly to check & edit entered details. Conclusion: Himachal Pradesh High Court has announced 80 various vacancies notification. Applicants those are interested and eligible for HP High Court Recruitment 2018 may apply through online mode. The last date of online registration for HPHC Job is 21.12.2018. Therefore, read the full article to getting more information. Himachal Pradesh High Court is inviting online application for recruiting candidates on 56 Clerk & Junior Officer Assistant Vacancy. Applicants who are waiting for HP High Court Recruitment 2017 can apply online form either from here or from official website hphighcourt.nic.in. Las date for apply HP High Court Jobs Online Form is 04.01.2017. Closing date for submitting the hard copy of Application is 11.01.2017. HPHC Shimla has recently released notification for HP High Court Clerk Bharti 2017. This is a golden opportunity for all the candidates who are looking job sin Himachal High Court. Candidates can submit the application form before the Closing date. To get more information about HP High Court Vacancy 2017, you can check given below details. Clerk Vacancy : applicants should have done Graduation Degree in any stream from recognized University. & Having basic Knowledge of Computer. Applicants should have to qualify the Typing Test with speed of 30 Words per minute in English on Computer For HP High Court Clerk Recruitment 2017. JP High Court JOA Vacancy : 10+2 with ITI/Diploma/Bachelor’s Degree in Computer or equivalent qualification is required for High Court of HP Vacancy 2017. Age of the candidates For HP High Court Recruitment 2017 should be in between 18 years to 45 years as on 01.01.2017. Upper Age relaxation is applicable as per Department Norms For High Court of HP Vacancy 2017. Rs. 2300/- should be paid by General Category Candidates. All Reserved category candidates must be paid Rs. 150/- for Applying HP High Court Jobs Online Form. Applicants fee should be deposited through online Mode. For Clerk Vacancy : Candidates will be paid pay band Rs. 5,910/- to 20,200/- with grade pay Rs. 1,900/- for Himachal Pradesh HC Clerk Vacancy 2017. For Junior Office Assistant Post : Rs. 5,910/- to 20,200/- + GP Rs. 1,950/- will be paid for High Court HP Office Assistant Recruitment 2017. After that click on HP High Court Recruitment Notification link. Read out full notification properly. Fill all the information carefully. Deposit application fee & Recheck all details. (a). The Print out of ‘E – Receipt’ as shall be auto-generated at the SBI Collect web Portal During online Filling Process. (b). Duly Filled Up Acknowledgement with attested Passport Size photo. Acknowledgement for Himachal High Court Vacancy 2017. Conclusion: HP High Court Recruitment 2017 For 56 Clerk & JOA Vacancy. Candidates should apply online form for HP high Court Clerk Vacancy 2017 before the last date 04.01.2017.